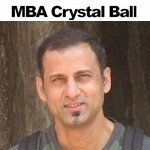 After 2 years of effort and over 1,000 hours of work, I have finally launched my MBA Admission Calculator. 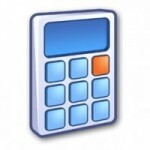 The calculator uses the logistic regression models that I built to write most of the articles on this website. It only requires you to fill in 10 pieces of information to get a rough idea of how competitive you are at top MBA programs. Each model was built using a minimum of 500 applicants worth of data. 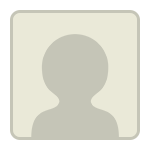 The data comes from the forums at GMAT Club. Currently the MBA Admission Calculator works for 16 schools including Harvard, Stanford, Wharton, Booth, MIT, Kellogg, Haas, Columbia, Tuck, NYU, Ross, Yale, Darden, Duke, Cornell and McCombs. However, I plan to finish off the top 25 domestic schools and a few international schools this summer. I would love feedback on how to improve this tool to meet applicants’ needs. So please feel free to leave a comment below. If your predicted odds are lower than you expected at your dream school, don’t abandon all hope. It probably means that either your scores need to be boosted or there are many applicants who are similar to you applying. Focus on finding a way to differentiate yourself from applicants with similar backgrounds in a way that appeals to the admissions committee. Seek help from students, alumni and other experts. Thank you so much for your tool. It's pretty interesting to see how the different variables act as levers on your admissions chance. Just thought I would let you know that there's a typo in the spelling of University of Texas - Austin. Glad to hear there are always ways to beat the odds. Looks interesting. I might play around with the stats to understand the criteria for various schools. After 2 years of effort and over 1,000 hours of work, I have finally launched my MBA Admission Calculator. And the tool is very easy to use. Kudos to you for the excellent work. Apart from the percentage numbers, would it be possible for the report to include some pointers on what specific parameter(s) may have worked against the candidate? Some aspects (like the GMAT score) may be easier to fix than the others (GPA, industry). Could be a new feature idea (maybe for a future release) that makes the report more analytical and actionable. That is a great idea. It is something I have considered and will look into in the future. I plan to do a significant upgrade to the individual models in terms of adding the latest data and analyzing a few more pieces of information. I will likely create an in depth page for each school that goes into more detail and could tell you how to improve your odds. I wouldn't expect this for a few months. It is very time consuming to collect the data clean it and recreate 20 regression models. I have a smaller update that should be live in the next week or two. Thanks! I fixed the spelling. That is one issue with coding, no spell check. I got an obscenely high 45% at Columbia. I wonder what would could have caused this. 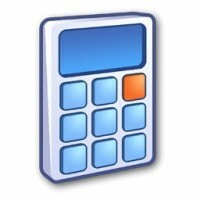 Any recent update on the calculator from anyone who has used it! I am tempted to try ... will post my feedback once done!